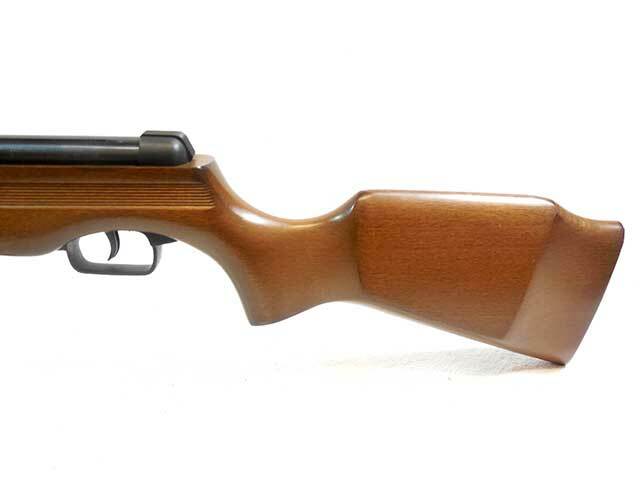 This Daisy 120 is a .177 caliber, single shot, break barrel with a one piece wood stock. 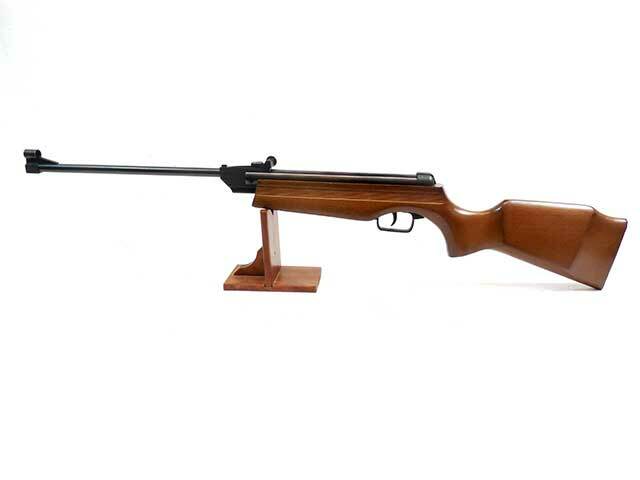 It has adjustable rear sights, a hooded front sight, and dovetail scope rails for mounting a scope. 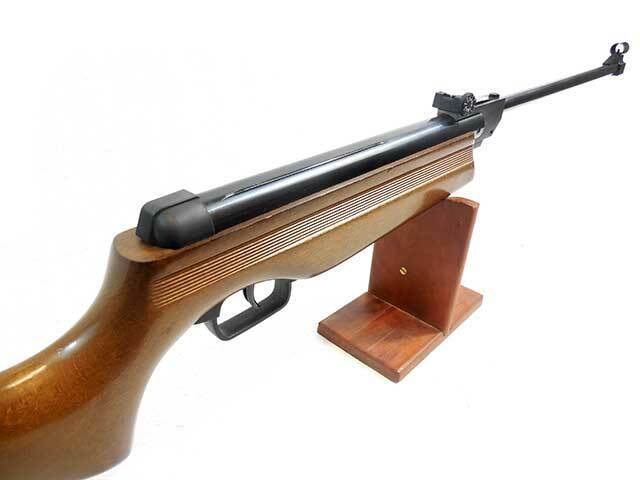 These guns were manufactured in Spain between 1984, and 1985 by El Gamo. 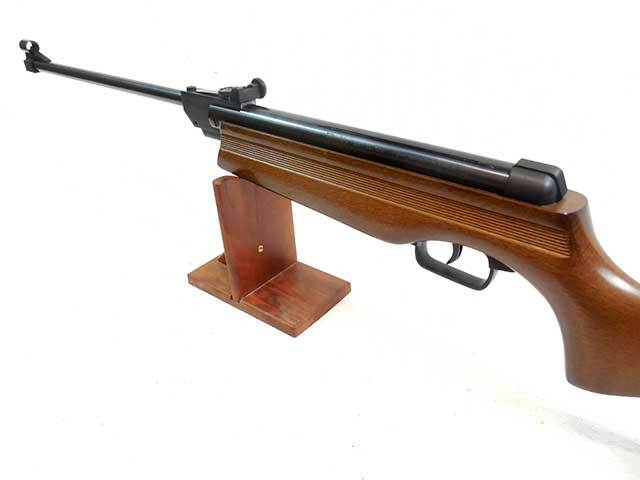 The wood on this gun is in excellent condition, and the metal retains nearly all of the original finish. It was also cleaned, lubed, and resealed in our shop. We tested the velocity using lead pellets, and it shot at 303 fps. 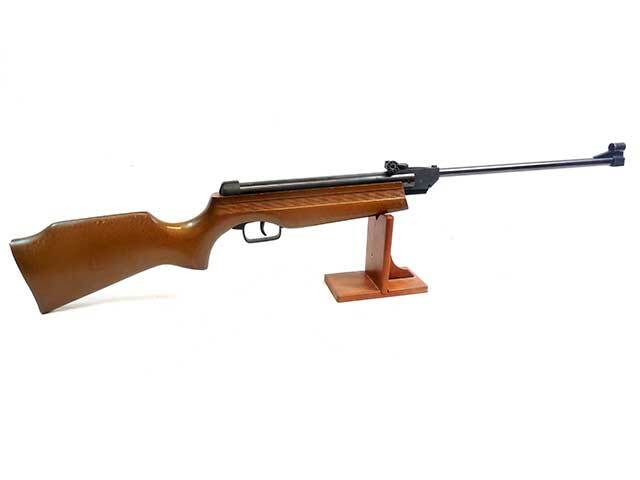 This is a very nice Daisy break barrel pellet rifle.